This beautiful salad is just plain delicious. The fresh pears are crisp and mildly sweet, and the combination of all the other goodies gives a sweet-savory-tangy zest, bite after bite. First, let’s talk dressing. 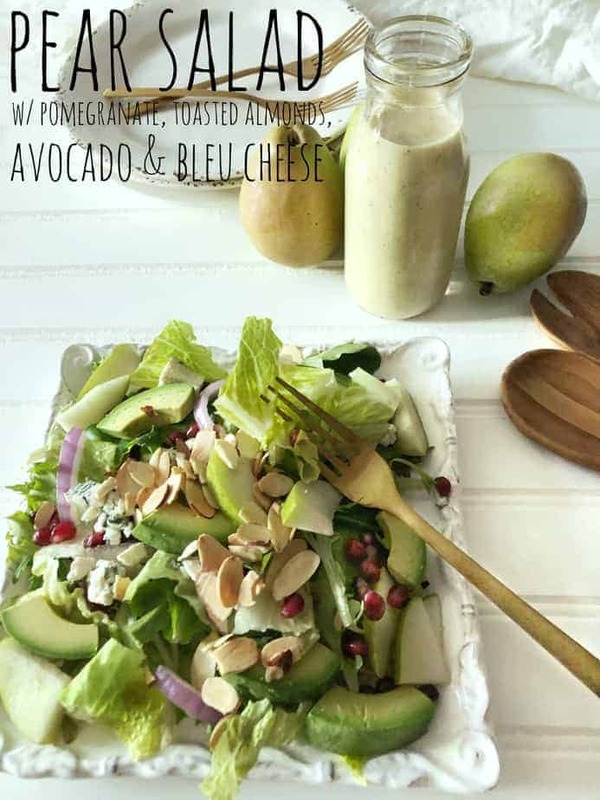 Pear Salad (etc., etc., etc.) is at its best with our Creamy Pear Vinaigrette.